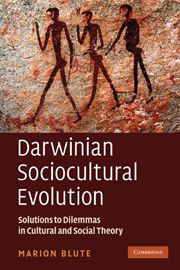 Over the holidays I began to read some recent books on cultural evolution. I began with Matt Ridley`s The Evolution of Everything: How New Ideas Emerge (HarperCollins 2015) because it has received a fair amount of attention. From what I had read and heard, I expected to both love and hate this book. I expected to love it because it is about the “general” (largely cultural) evolution of, well, EVERYTHING. Sandwiched between a prologue and an epilogue are 16 short chapters on the evolution of each of the universe, morality, life, genes, culture, the economy, technology, the mind, personality, education, population, leadership, government, religion, money and the internet! To be sure, some of the chapters are not about what their titles would lead one to expect. Chapter 1 titled the evolution of the universe is not about the evolution of the universe at all. Instead it is about the history of western philosophy and science from Lucretius through Newton to Darwin told as a tale of more or less linear progress (but with many “swerves”) supposedly towards empiricism and atheism! Chapter 2 titled the evolution of life is not about the origins of life at all, instead it is about biological evolution in general, and more specifically, a pretty conventional account of how the concept of natural selection has largely won out over theories of design from pre-Darwinian natural theology including right up to the American legal wins over scientific creationism and intelligent design. It includes a few (I suspect) deliberately provocative claims such as that Darwin was really “rediscovering” Empedocles and Lucretius (p. 52)! Chapter 4 on the other hand titled the evolution of genes is about the origins of life. Chapter 8 on the evolution of the mind is not about the evolution of the mind at all. Instead it is about how the mind as opposed to the brain is a fiction. Oh well, enough of that.